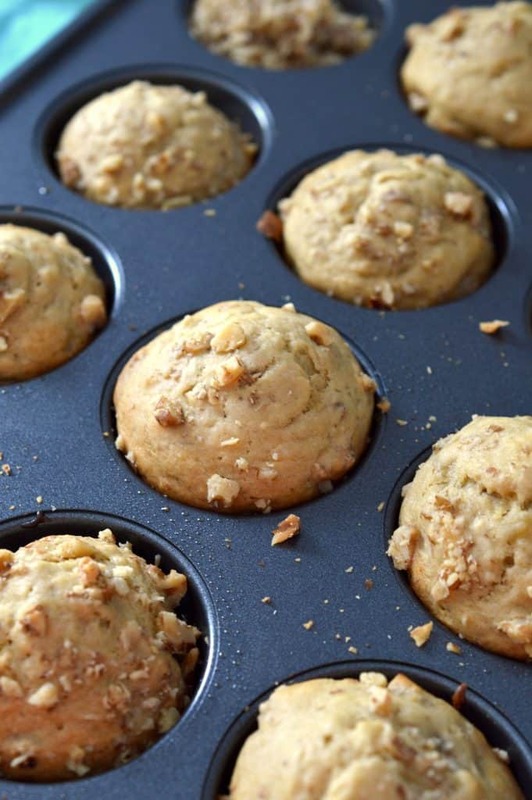 Soft and chewy Banana Walnut Muffins are the perfect muffin for breakfast. Pair with a cup coffee or tea for a perfect morning! 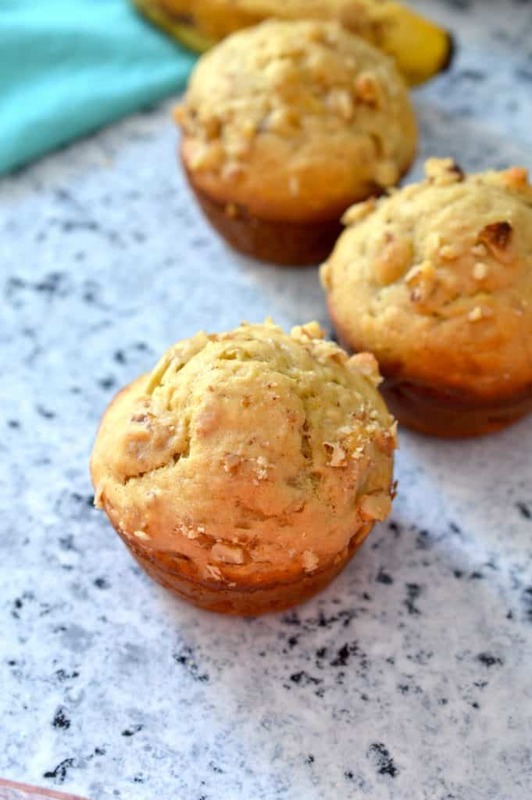 There’s something about these Banana Walnut Muffins – they’re the perfect size to grab and go or pair with some protein-packed greek yogurt. I used to not care for the flavor of banana (mostly in smoothies…why does every smoothie have a banana base?!) but found that it’s a little less pronounced in baked goods like Banana Bread. 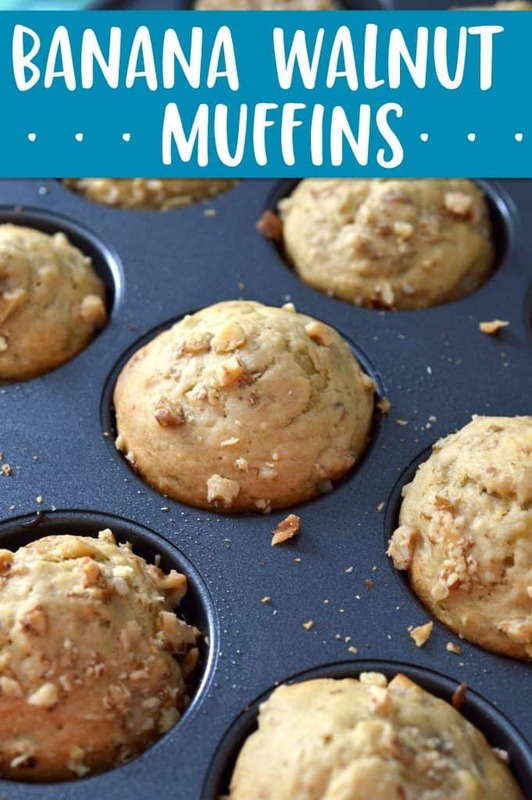 The overripe bananas in this recipe give the muffins a nice sweet banana flavor without being too overpowering. 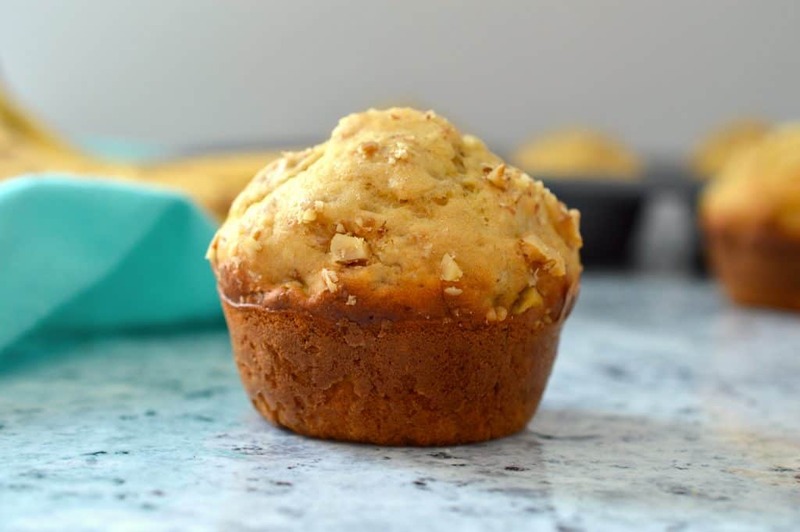 The walnuts are the perfect crunchy addition inside and on top of the muffin. These are a more classic muffin than my Peanut Butter, Banana & Oatmeal Muffins (with chocolate chips!) recipe, but they are delightful nonetheless. The recipe makes 12 muffins, which is perfect for sharing (or freezing if you’re a family of 2 like us). They keep well in the freezer for around 2 months. I heat them in our microwave for 35 seconds and they are perfectly warmed throughout. These muffins are best served warm, but are also delicious at room temperature. What’s your favorite muffin flavor? Combine mashed bananas, milk, oil, eggs and vanilla in a medium bowl. Stir until combined. Add dry ingredients to wet ingredients and stir until incorporated. Grease muffin pan or use liners. I prefer to grease liners as well when I use them. Spoon batter into muffin cups. Fill each cup 2/3 full. Bake 15 minutes or until toothpick inserted into a muffin comes out clean.